With the hustle and bustle of everyday life, we all deserve to lay back, have fun, and take a break from life’s daily grind. While most of us may plan to take a vacation to the nearest ski resort or fly to a tropical island somewhere on the coast, people who can afford to pay a couple more thousand dollars may be interested in experiencing some of the most expensive vacations that include a chartered yacht to the Greek Isles, staying at a Chateau in France, and enjoying a private Island in the Bahamas. Yes, a vacation worth almost $8,000 doesn’t seem too daunting than the other items on this list. However, the exclusivity of this cruise is what makes it as luxurious as the others. At a maximum of 94 guests, this cruise ship promises to provide you with personal services from their crew on board. Here you can enjoy a trip to the open seas while drinking great bottles of wine and champagne in your own suite. Maybe a vacation at a grand chateau is what you need for your extravagant holiday. The regal Chateau le Camarguais in Carpentras, France can accommodate only up to 32 guests, which ensures you of an almost exclusive holiday. Here you can enjoy amenities such as an outdoor pool and a sports complex. 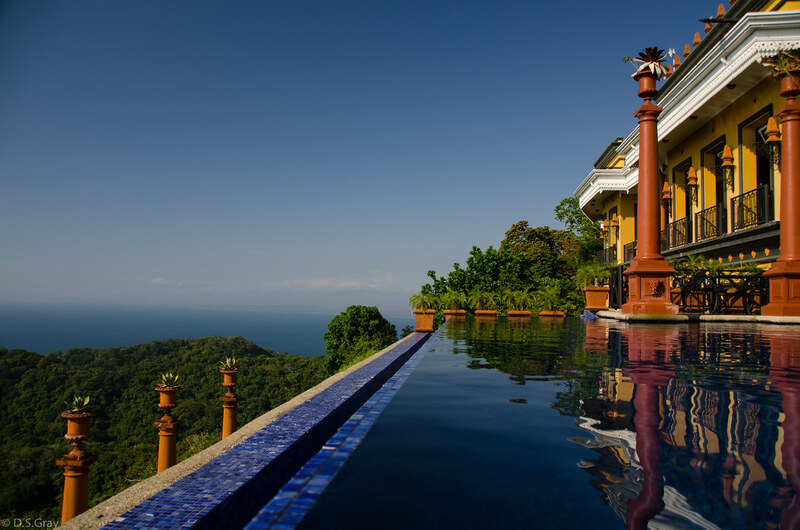 If you’re looking for a more tropical vacation, then maybe you will want to fly to Jaco, Costa Rica to stay at the Zephyr Palace. High above on the mountaintop is this luxury resort where you get to enjoy a fantastic view of the Pacific Ocean. 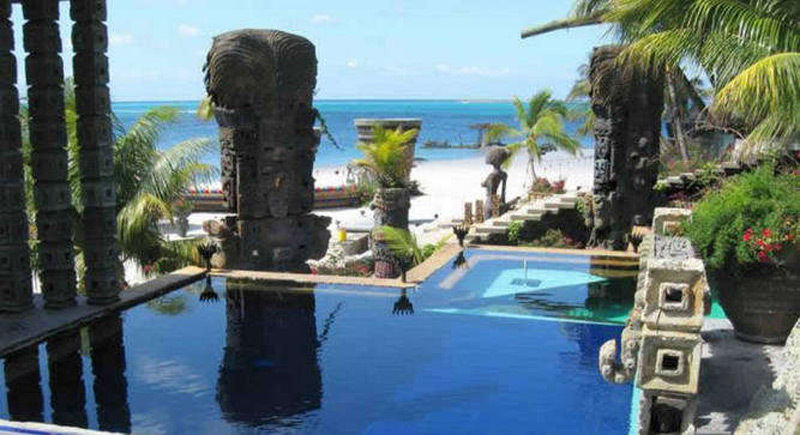 Guests at Zephyr Palace have access to a secluded beach, golf course, an infinity pool, jacuzzi, gym and spa. If you feel that staying in a chateau isn’t royal enough for you, then maybe spending a week for a holiday at Helen’s Tower will tickle your fancy. This enchanting stone tower will give you a panoramic view of the Scottish seas and its surrounding landscapes. All forty guests of Helen’s Tower are served fresh meals using the finest local ingredients such as lobster, scallops, beef, and lamb. There are also other activities available here such as horseback riding, fishing, and golf. Translated in English as destination house, Casa El Destino is one holiday location you will want to visit if you have $105,000 to spare for a week’s vacation. The luxury villas in this resort come with a great view of the waters, access to two Jack Nicklaus golf courses, beach clubs, pool and spa. The villas here have seven rooms and can accommodate 14 guests, so you can ask your friends to tag along. This grand estate has facilities such as seven luxury suites, fireplaces, a private theater, wine cellar, a fitness room, and a private gondola. Guests here can have access to ski at Deer Valley and Deer Crest. This century-old complex is where you want to go if you feel like you need a luxury holiday along the countryside. What await you at the Villa Bellissima VI are 22 grand suites, each with a terrace, screening rooms, and business rooms. They also have amenities such as an outdoor pool, a tennis court, a bocce court, a basketball court, and a gym. 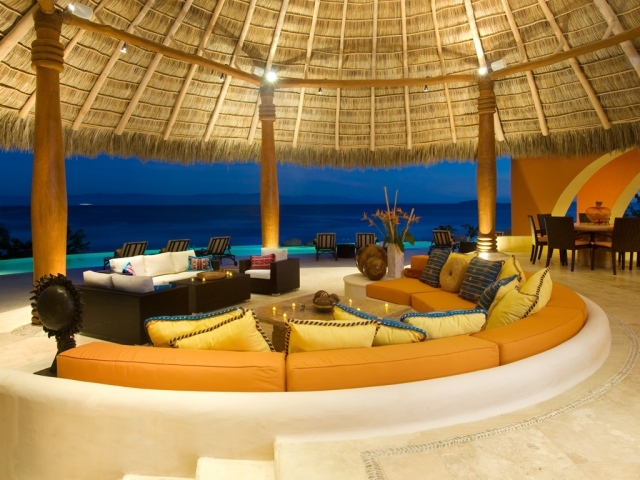 This high-class hacienda has played host to many A-listers, royalties, and multi-millionaires. With its steep price tag for a week’s stay (almost a quarter of a million), you will get to enjoy your own private island with amenities, such as a pool, bar, and a wine cellar. If you’ve hit the jackpot while playing at the gazillion casinos in Vegas, you might just want to treat yourself by staying at the Hugh Hefner Sky Villa at the Palms. At its price, staying here for a week will cost you a whopping $238,000 just on accommodations alone! But of course, you get to enjoy the amenities that go with the room, such as an entertainment room, a poker table, a plasma TV, a rotating bed, a terrace with a glass enclosed pool, and let’s not forget a 24/7 butler service. Another private island resort that lands on this list of the most expensive vacations can be found in the Bahamas and is owned by world-renowned magician David Copperfield. Musha Cay is one destination where you’ll discover magic! With its 500 acre land, 25 sugar-sand beaches, a 10,000 sq.ft.- house, plus four additional guest houses, this could be one of the greatest holiday destinations on this list. Nygard Cay is another island in the Bahamas and could also be one of the holiday spots you’d die to go to. Owned by fashion businessman Peter Nygard, this private island has 10 bedrooms, pools, jacuzzi, and an 82-ft. Italian yacht that you can rent. Some of the famous names that have visited here are Oprah Winfrey, Robert DeNiro, Sean Connery, and former U.S. President George W. Bush — talk about rubbing elbows with the stars! How about spending $350,000 on a whole week’s villa sound? The Royal Villa at Grand Resort Logonissi also lands as one of the world’s most expensive hotel rooms. This villa features a magnificent view of Athens. It boasts two large master bedrooms, luxury baths, and access to the hotel’s facilities, such as an indoor heated pool, a secluded beach, steam rooms, and a butler service. Mel Gibson and Leonardo DiCaprio are some of the big stars who have already stayed at this resort. This private island in the Caribbean lands second on the priciest vacations list. This tropical island owned by Sir Richard Branson is surrounded by coral reefs and is home to a few hundred flamingo birds. Google’s co-founder, Larry Page had his wedding here back in 2009, while Eddie Murphy had his honeymoon. Other A-listers that have been to Necker Island include Robert de Niro, Mariah Carey, Sarah Ferguson and Princess Diana. Also, it’s in Necker Island that Richard Branson broke a Guinness World Record for having four people riding a kitesurf simultaneously. No, this vacation spot is not on a tropical island, but it will give you an exclusive view of Lake Geneva and the Alps. Staying at the Royal Penthouse Suite can be your most expensive vacation idea since this suite also tops the most expensive hotel room in the world. This suite has multiple bedrooms, baths, its own private gym, an elevator, and a grand piano. It was reported that the world’s richest man Bill Gates has already stayed in this suite.